Ayurveda heart disease, Ayurveda Heart Disease and Cholesterol, Arjunarishta syrup for heart disease, Arjunarishta for heart problems, Arjunarishta for heart health. In today's times heart problems or heart diseases are increasing. The two most common heart diseases are Angina Pectoris and Myocardial Infarction. Myocardial Infarction is called Heart attack. Eating 100 gram grapes everyday cures the weakness of heart. It also protects heart from diseases. Drinking one cup carrot juice every day for two months is very good for heart patients. Things are so worsening that people of young age are also suffering from these heart problems and diseases. The speciality of our countrymen is that they are easily attracted to foreign things and lifestyles. They like their own things only when they become internationally popular. Due to this mentality many people of our country have accepted western lifestyle as their own. Interestingly, those countries whose lifestyle we have accepted are now feeling awareness about these diseases. Now death rates due to these diseases are decreasing in those countries and western world because people of these countries are changing their lifestyles for good. Smoking is decreasing, they are turning vegetarian from non-vegetarian, and they are learning to exercise (especially Yoga). Due to lack of physical exercise, consumption of heavy and oily food, smoking and following western lifestyle patterns heart diseases like Angina Pectoris and Myocardial Infarction are increasing in India. Before discussing cholesterol in detail, it would be better to first list a brief overview about heart disease. Angina Pectoris and Myocardial Infarction (heart attack) both heart diseases are caused by lack or absence of blood supply to the heart. 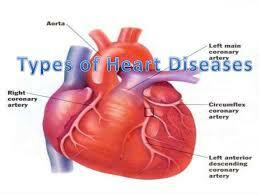 Hence both diseases come under the category of “Ischemic heart diseases”. Interruption of blood distribution is called Ischemia. Condition of ischemia is caused by lack of blood supply or interruption in blood supply. If there is a complete stoppage of blood to that part of body then that portion of the body dies. In medical language this condition is called “Necrosis”. In ischemic heart diseases interruption in blood supply is caused by creation of “Atheroma” in coronary arteries. Creation of Atheroma in coronary arteries is called Atherosclerosis. 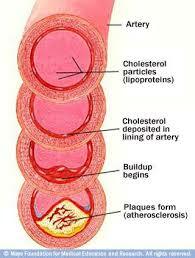 An increased level of cholesterol is the major cause of Atherosclerosis. Atherosclerosis eventually leads to Angina Pectoris and in some cases Myocardial Infarction (heart attack). We often read or hear that this is good cholesterol and that is bad cholesterol etc. before proceeding further, let's first understand this too in brief. Doctors ask us to do a lipid profile test. Actually, increased level of lipids in blood is called “Hyper Lipidemia”. It increases the chances of Atheroma creation. Now what are these lipids? These lipids, together with proteins flow with our blood. Lipids are very important ingredients of the structure of cell and they take part in many activities. Testing cholesterol level in blood is called “Lipid Profile” test. 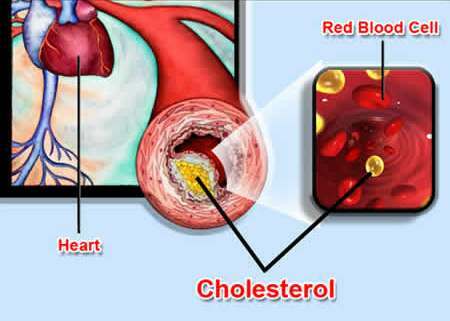 In this test several types of cholesterol levels are checked. Based on this test chances and probabilities of heart disease are assessed in the patient. For your knowledge and information we are posting a table below where you can check your lipid status after the test. Cholesterol does lots of activities in our body. The most important task of cholesterol is to maintain the structures of cells. Apart from this cholesterol is also needed for the formation of certain hormones. Cholesterol is a necessary element of our body. Still sometimes it is called bad. But why? Now let's try to understand why cholesterol is sometimes called bad. 1) High density lipoproteins (HDL) – HDL contains high protein levels, low triglycerides level, low cholesterol level and nominal phospholipid levels . HDL is called good cholesterol because it reduces the possibility of heart disease by removing the cholesterol stuck in the internal layer of coronary arteries. 2) Low density lipoprotein (LDL) – LDL contains high cholesterol levels, low phospholipids, low triglycerides and low proteins. LDL is thus considered bad cholesterol. High level of LDL in blood increases the possibility of heart diseases. 3) Very Low density lipoprotein (VLDL) – VLDL contains high levels of triglycerides, low levels of phospholipids, cholesterol and nominal level of protein. Generally, cholesterol level more than 200mg/dl is considered dangerous in a normal person. And for those people whose cholesterol levels are more than 240mg/dl, chances of heart disease increases 3 times more. 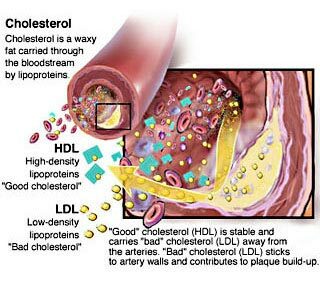 High level of HDL (good cholesterol) is good for health and low level of HDL is considered harmful. In fact, low level of HDL is more harmful than high level of LDL and cholesterol in blood. That's why exercise and active lifestyle is considered good for heart health because it increases the level of HDL and decreases the level of LDL and cholesterol. Smoking is thus harmful for heart health because it decreases the level of HDL (good cholesterol) in blood. Question: What are the causes of increased level of cholesterol? Answer: let's now discuss the causes of increased levels of cholesterols in blood. The main cause of increased cholesterol in blood is heavy and regular consumption of saturated fats, Trans fats and cholesterol. Saturated fat is found in the food which we get from animals. Mutton, chicken, eggs, meat and milk products, butter, cheese etc. are filled with saturated fats. On other hand, Trans fats are found in cakes, biscuits, chocolates, chips, snacks and pizza, burger etc.. Trans fats are mainly found in oily foods like Samosa, kachori, Vadaa pav etc. Apart from this, Cholesterol problem can be genetic and family history also plays a part in it. Being obese is another cause of cholesterol problem. Obesity and inactive lifestyle are also primary causes of cholesterol problem in many people. Obesity and inactive lifestyle are somewhat related too. Due to obesity, body's cell's resistance towards insulin increases which results in higher level of insulin in blood. Due to this, creation of triglycerides and cholesterol increases in liver. This insulin increases the creation of lipids in the wall of the cells of the arteries. This way inactive and exercise-less lifestyle not only brings obesity but it reduces the levels of HDL (Good Cholesterol) too. Alcohol consumption and cigarette smoking also increases the cholesterol levels. Now below we are listing some Ayurveda Indian home remedies for the cures and treatments of Heart diseases and cholesterol problems. 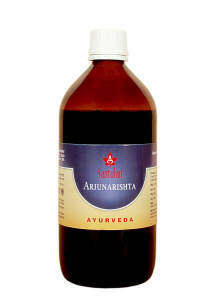 Arjunarishta is the best ayurvedic remedy for the weakness of heart. According to Ayurveda, use of Arjunarishta eliminates all the disorders related to the heart and provides strength to heart. Arjunarishta is soft, strength provider of heart, sour in taste, eliminator of blood disorders and fat, and destroyer of Kapha and Pitta. Its powder is sour in taste which supplies energy and power to the heart and is worth using for the treatments of health issues related to the heart.it is the best Ayurveda medicine to regulate the heartbeat. Ayurveda has also referred to this remedy as “Paartharishta” and it is well known that “Partha” is one of the names of Arjuna. Befor discussing Arjunarishta in detail, it would be appropriate to introduce the subject of “Arjuna” tree. 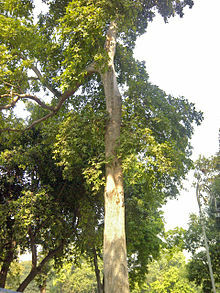 Arjuna tree is very large in size and its height is about 60 to 80 feet. 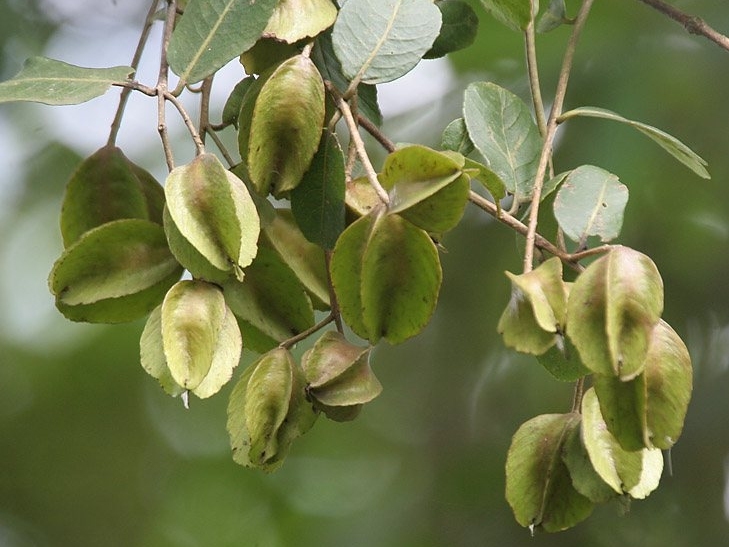 In India, it is specially found naturally in the vicinity of the Himalayas, Bengal, Bihar and MP. In other regions it is required to be sown. It is a wild tree and its heighted trees can be seen in a row near the rivers and streams. Their leaves are similar to the leaves of guava. They produce flower in summer season and fruits in winter season. Its flowers are greenish white. Its fruits are round-shaped and less massy. Preparation method of Arjunarishta :- The quantities of above given ingredients can be increased or decreased in appropriate proportions. Take arjuna tree husk,manukka and mahua together. Mix and grind thin them and put them into the 40 litre water in order to prepare a decoction. When only 1/4 th water is remained (about 10 litres), then take it off and filter it. Now put gud and dhaay flower in it and fill it in a mud pot and put a cap on it. After one month, filter it again and fill it in bottles. Your Arjunarishta syrup is ready. Arjunarishta dosage and quantity- Arjunarishta should be taken two times a day, in morning and evening after meals, two spoonfuls each, by mixing it in half cup of water. 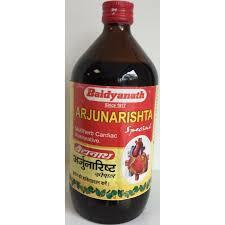 Advantages/Benefits of Arjunarishta/Arjunarishta syrup – taking Arjunarishta for few days eliminate the weakness of heart and pitta disturbance. Arjunarishta cures and treats heart related problems like swelling of lungs, heart disease, pain in heart, languished heartbeats and other heart related health conditions. Arjunarishta chhal , or husk, or powder is equally effective and beneficial in heart diseases. By mixing and thin grinding, the husk of Arjuna tree can be converted into powder. Taking this powder with chilled water in the quantities of 5 grams is very beneficial for the treatment of heart disorders and is recommended for people with weakness of heart. Arjunarishta husk can also be boiled with milk and jaggery. This solution should be taken every day in a cup before sleeping. It relieves the swelling around heart area. Specifically, this solution is very beneficial for the heart patient. It is an unparalleled Ayurveda home remedy in itself. 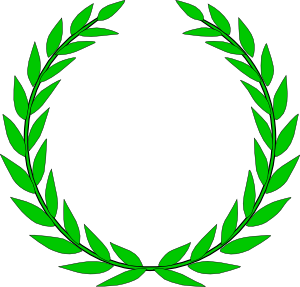 It is equally useful in men and women. 2) Take 10 grams Arjun ki chhal and put it in 200ml cow milk. Then mix 200 ml water in it and boil it. When only some milk is remain then sieve the solution. Drink this solution every day on empty stomach. This is very effective and easily prepared Ayurveda indian home remedy for the cure and treatments of heart disease and cholesterol. 3) Take equal quantities of Naagarmotha , Pitta Paapda, Ushir Chandan, Dhaniya and Saunth. Now mix and grind all the ingredients and prepare a powder. put 10 grams quantity of this powder into 400ml of water. Now boil this solution until water remains only 100ml. your another Ayurveda home remedy for heart disease and cholesterol is ready. Drink this soup every morning on empty stomach. 4) Take equal quantities of Pippli, Peeplamool, Saunth, Chavya and Chatrak. Mix and grind all ingredients together and prepare a churna (powder). This remedy is called “ Panchkol”. Take 2-2 grams of this powder with water every morning and evening.